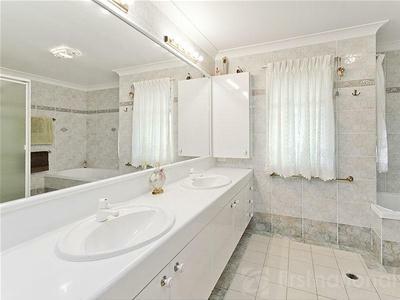 Vendor Says "Present All Offers"
Home big enough for extended family. 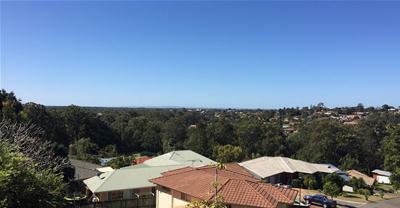 Panoramic views are a key element of this character 1960's home which is set on an elevated 1455m2 block with uninterrupted views across to the Bay in an enviable outstanding position located in Aspley. Timber clad the home provides a plethora of living spaces and an in-ground swimming pool. On entering the property there is a sunken lounge with subtle stair lighting, exposed beamed ceilings and open brick fireplace. 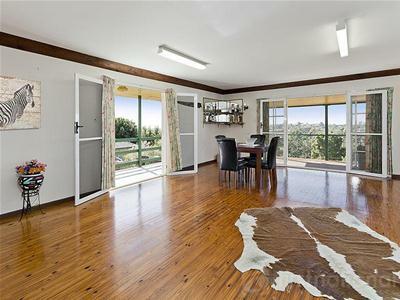 Polished parquet and timber floors glow golden in the stream of sunlight pouring in through the large double glass doors and windows which look out to the sparkling in-ground pool. The kitchen is the nucleus of the home providing panoramic views through floor to ceiling windows. 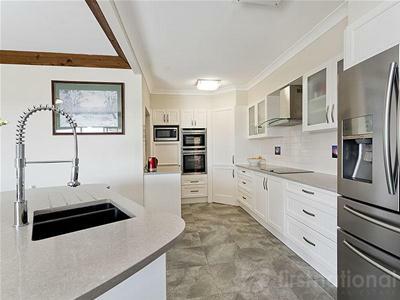 The kitchen has been upgraded in recent years to subtle provincial cream cabinetry, 30mm Ceasar stone bench tops and "top grade" Neff appliances, grill oven, steam oven, induction hob. The central island compliments the open plan kitchen and dining area. 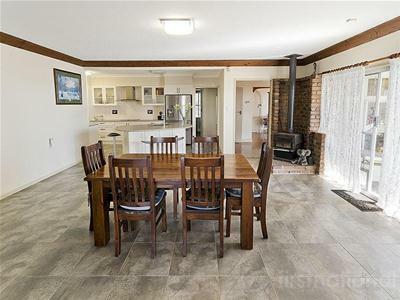 The dining area flows seamlessly through to an enormous games room with polished timber floors. 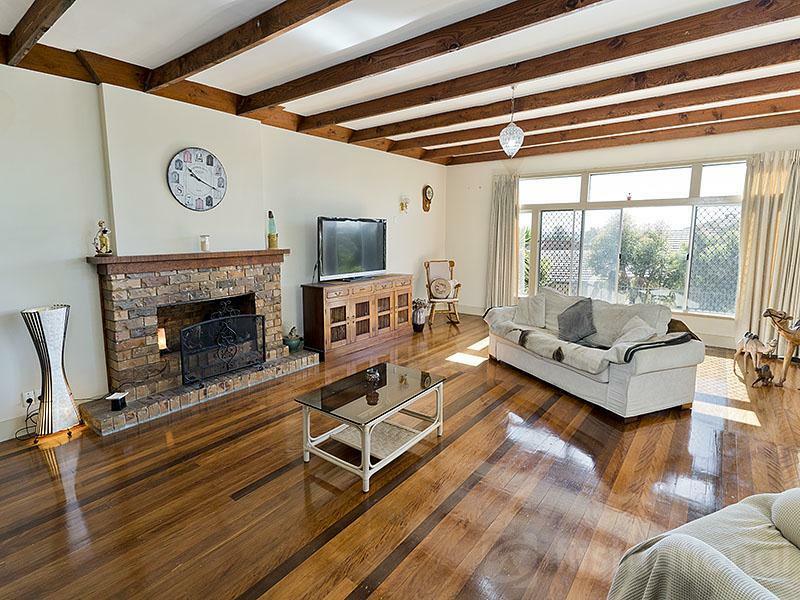 Floor to ceiling windows on two walls to a timber verandah and further outdoor setting. 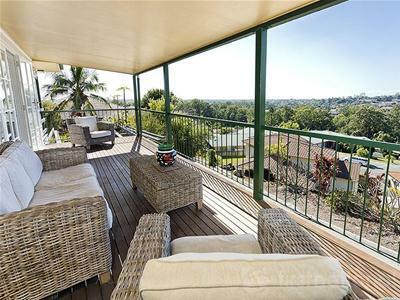 Sit here and enjoy the full extent of the "million dollar view"... By day you have lush greenery between the suburbs and rooftops ... by night you have the twinkling of the stars and lights through to the bay. 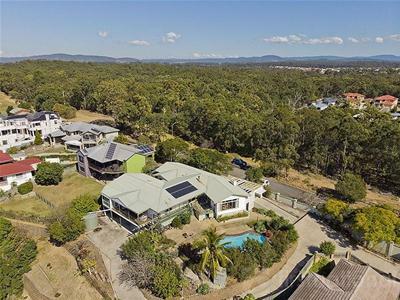 The main deck encompasses the entire rear of the property and with fantastic views to Moreton Bay and Moreton Island. The views continue from another deck at side of the house that also overlooks the pool. 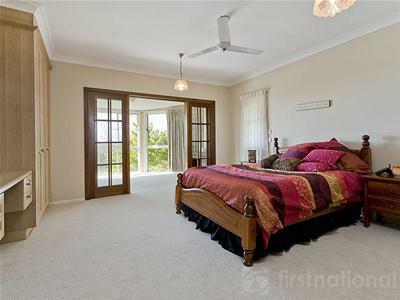 The newly carpeted generous size master bedroom with built in robes and vanity also has its own 'parent lounge' which flows to the deck with lovely French doors for privacy and extremely large en-suite with shower, bath and double vanity. 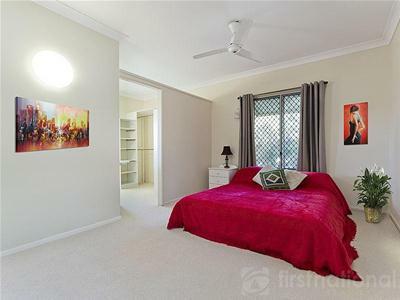 There are another three bedrooms; all extremely good size. 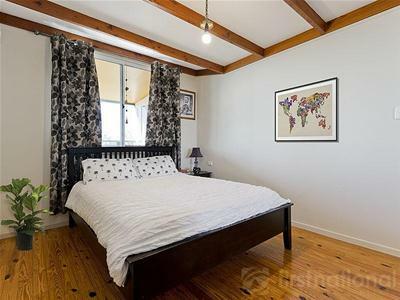 A fourth guest bedroom with timber floors, built in robes, beamed ceilings also has an en-suite with shower, toilet and sink. 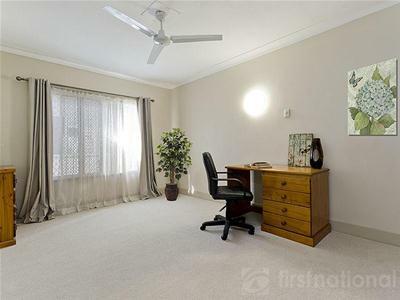 A further room currently being used as an office . Under the home there is an extra shower and toilet that easily accommodates pool users. Double lock up garage to the rear and a carport to the front of the home. There is an 11,500 litres water tank to supply all the beautiful, low maintenance, established gardens. This is a property which is so full of character and surrounded by prestigious properties. 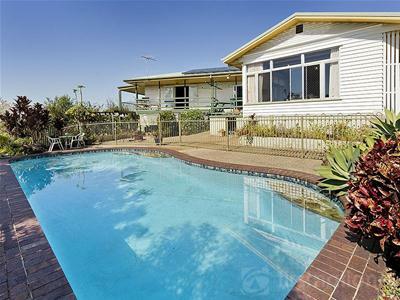 The current owner saw the potential and has invested in making some great upgrades and now this home is for sale there is further potential for a new owner to put their mark on this lovely home. 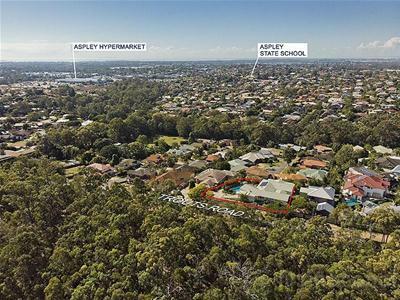 Land in this small pocket of Aspley is expensive. You are certainly 'buying the location'. What you do with it is limited by your imagination. 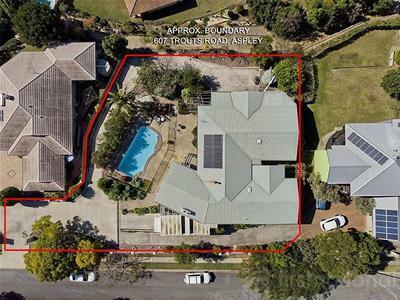 Position perfect surrounded by walkways and parkland but only minutes away from schools, shopping centres and public transport. Meet me at the open. *Some photos have been enhanced with digital decor.